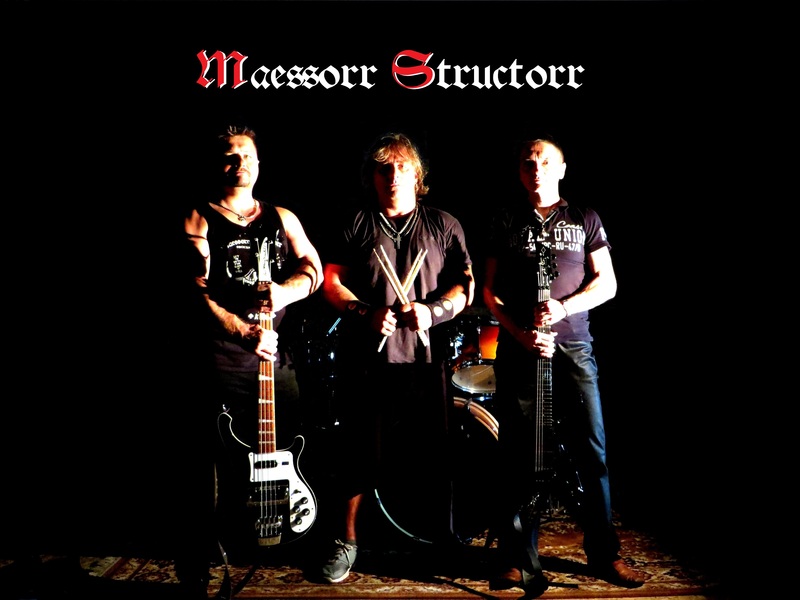 Established in 2011 in Bohemia, in autumn 2015 begins the rock band Maessorr Structorr to promote its debut album „Rise At Fall 2015“, produced by its own label KLEINBERG MUSIC, located in Germany. LINE-UP The band´s kernel are two brothers Milvus Kleinberg (composer & guitarist) and Denny Kleinberg (lyricist, singer & bass guitarist). Pavel Schwarz (drummer) completes the trio. MUSIC The music style can be seen as a pure renaissance of the 80´ hard rock spirit, trimmed with a modern sound. The mid-style is fresh hard rock („Headlights On“), the range reaches from pop rock („Theresa“) to heavy metal („Floods Of Metal“). A special attribute of Kleinberg´s music are rock ballads („Lonely Mariner“, "New Start"). ´Mainstream metal´ radio hit candidates are not missing ("A Nice Day"). BIOGRAPHY In May 2011 came the idea to Milvus and Denny Kleinberg to ground their own hard rock band. The name ´Maessorr Structorr´ is a harder looking derivation from the ant scientific name Messor structor, invented by Milvus in 1988. In 1987 - 1989 Milvus wrote his first music, e. g. for "Black Widow" or "Blackout". In May 2011 Denny acted spontaneously and pursued his first bass guitar and started to practice, whereas Milvus had already been playing guitar since two years at that time. There followed a 2-year period of songwriting and of home recordings. With a drum machine. In 2013 the first drummer, Arthur Zero, joined the band. With the drummer live gigs were possible at last, even better since 2014 with the second drummer, Mike Bierstein. With him the debut album "Rise At Fall 2015" were recorded as well. September 2016 brought an improvement to the band line-up. A new drummer Pavel Schwarz joined the band. 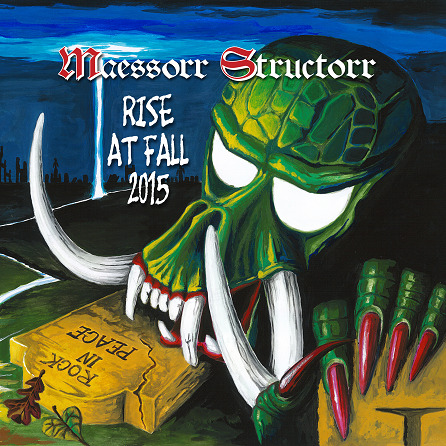 "From Czech Republic, we find upcoming hard rock band MAESSORR STRUCTORR, who have a very catchy new eleven track CD out now called ´Rise At Fall´ that is well worth checking out." " "Rise At Fall 2015" wurde im eigenen Studio produziert, nennt als Höhepunkt sicherlich die Ballade "Lonely Mariner", die von Gitarrenstimmung bis hin zu den typischen 'Feuerzeugritualen' alles bietet, was man so erwartet. Zumindest solange, bis ein furioser Gitarrenritt mit klasse Drumarbeit alles Balladeske zum Teufel schickt. Meine beiden Favs sind allerdings das in deutscher Sprache gesungene "Theresa" mit dieser leichten Punkattitüde. Ein Song so frisch und munter - besser kann ein Track nicht zu dem gerade erwachenden Frühling passen. Mein zweites Highlight trägt den Namen "New Start" und überzeugt mich, weil es zum einen stadionmäßig beginnt, dann zum anderen schön schleppend mit eigentlich unerwarteten Akkordwechseln nur begeistert." "Rise At Fall 2015 is this German trio´s debut album, planting their feet firmly in classic heavy metal waters. 80s style riffs dominate throughout and although the album is a mixed bag, there are some good moments that show Maessorr Structorr have some about them. Headlights On is a good opener with a strong AOR feel, but it´s the excellent guitar solo from Milvus Kleinberg that, lasting over two minutes, is the first glimpse of the quality the band have." "It’s a good debut, even if they haven’t quite decided what band they want to be. So there is some eighties hard rock, some out and out metal, and even a couple of tunes which wouldn’t be out of place on the radiogram. But they have got potential, and if they could narrow their focus a bit, then they could be on to something."